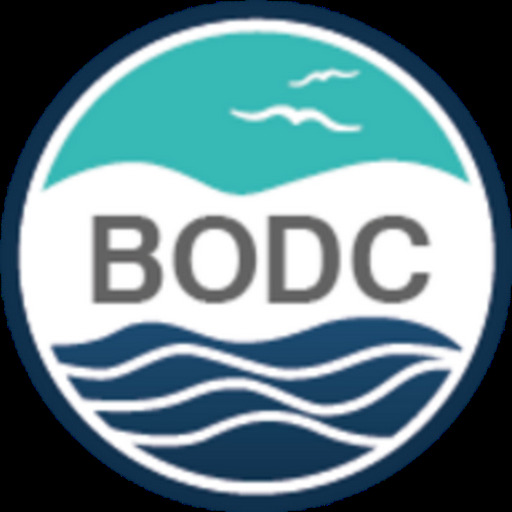 The British Oceanographic Data Centre (BODC) is part of a worldwide network of oceanographic data centres created to support global, regional and climate-related studies of the world’s oceans. We are at the forefront of managing and disseminating large, complex marine data sets. We are a component of the Natural Environment Research Council’s (NERC) environmental data centre network and collaborate widely with other national data centres and international initiatives, to make marine data discoverable and easily available to scientists, policy makers, industry and the public. BODC is part of the National Oceanography Centre (NOC). Based at our Liverpool site, you will lead our team of Argo data managers ensuring that data collected by Argo floats on a variety of research projects flows through our near-real time data management systems and that a high quality delayed mode data set is curated and made widely available for long term re-use. You will receive training in the processes and systems so that you can provide expertise in the management of Argo data to a range of national/international BODC data projects. Argo floats collect a range of data from physical parameters through to biogeochemistry. You need to be open to learning areas of science that may be new to you – for example if you are a physicist, you may be required to gain knowledge in biogeochemistry (or vice versa). You will be expected to develop solutions for the management of data within your area of responsibility. You will also be expected to work closely with project scientists and to develop a clear scientific insight into the data being handled. You will be expected to become an expert in quality control of delayed mode data, optimising the scientific use of the data. As project manager for the Argo portfolio of projects, you will be expected to comply with NERC and EU project reporting requirements. You will also be responsible for managing a portfolio of other data management projects, for which BODC is the designated Data Centre. The work is intellectually challenging and fulfilling. Some seagoing work may be arranged to familiarise the successful candidate with data collection techniques. To be successful in this role you will need to understand the value of sharing quality marine science data. You will have a degree or post-graduate qualification in marine science, ideally with experience in Argo science, and experience of working with large scientific datasets. You will be comfortable presenting and reporting our work to UK and international audiences. Well-developed computer skills will be required, including some scientific programming experience. Good communication, planning and problem solving skills are highly desirable, as is experience in project management. The starting salary for this position will be £28,200 per annum (Band 6). Depending upon skills and experience, a salary uplift and/or additional allowances may be available for exceptional candidates. The hours of working are full time. To be successful in this role you will need to understand the value of sharing quality marine science data. You will have a degree or post-graduate qualification in marine science with experience of working with large scientific datasets. Well-developed computer skills will be required, ideally, including some scientific programming experience. Good communication, planning and problem solving skills are highly desirable, as is an understanding of project management. The NOC is committed to making the NOC ‘a great place to be, where our people succeed and deliver great work’. The NOC is committed to being recognised as a flexible employer to support employees’ work and personal commitments where possible. Our flexi-time system and flexible working policy contribute to this important aim. In return for your talents, we offer a competitive remuneration package, including a RCUK pension scheme, 30 days annual leave with a further 14 Public/local days off and low cost car-parking. Opportunities for further training and development are supported. The National Oceanography Centre (NOC), part of the Natural Environment Research Council, is a national research organisation, delivering integrated marine science and technology from the coast to the deep ocean and is one of the top five institutions of its kind in the world. With sites in Liverpool and Southampton, it is the UK’s leading centre for sea level science, coastal and deep ocean research and technology development. Working closely with its partners and associates, it provides capability to meet needs across the UK marine science community (http://noc.ac.uk/). From April 2018, the NOC, a component part of the Natural Environment Research Council (NERC), will be part of UK Research and Innovation. UK Research and Innovation will bring together the seven Research Councils, Innovate UK and a new organisation, Research England. The vision for the new organisation is to be the best research and innovation organisation in the world. More information can be found online at http://www.ukri.org/. From April 2018, you will be employed by UK Research and Innovation. The NOC is an equal opportunities employer and welcomes applications from all sections of the community. People with disabilities and those from ethnic minorities are currently under-represented and their applications are particularly welcome. The NOC is an Investors in People organisation and is working towards achieving Bronze status for Athena SWAN – a scheme that recognizes excellence in women's employment in science, technology, engineering, maths and medicine (STEMM) in UK higher education. There is a guaranteed Interview Scheme for suitable candidates with disabilities. All internal and external applications are handled by the UK Shared Business Services Ltd (UK SBS). For further information about the role and to apply, please visit our website at http://topcareer.jobs/ quoting reference number IRC242793. To apply, please submit an up-to-date CV (including covering letter explaining how your skills and experience meet the requirements of the role). If you are unable to apply online, please contact us by telephone on 00 44 (0) 1793 867003.